Quick update from Mt Banks. 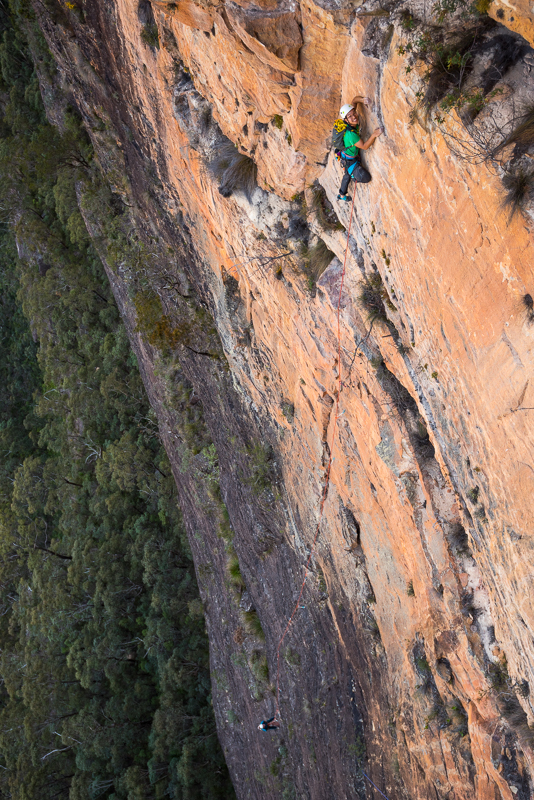 Today Mike Law and Eugene Mak are attempting a one day ascent of the 500m The Camel (18), a route they recently established in sections with Jeff Crass. This shot is of Eugene leading the 9th pitch. They reached the halfway ledge at 12:10pm and are now on the 11th pitch. Only 8 or 9 to go after that. Making good time.